Spike TV has just confirmed that they will continue their giving ways by offering a “UFC Prelims” special for “UFC 119: Mir vs. Nogueira II” on September 25th. The edgy network announced Tuesday morning that the lead-in show will feature an exciting heavyweight battle between Matt Mitrione and Joey Beltran, as well as a middleweight scrap between C.B. 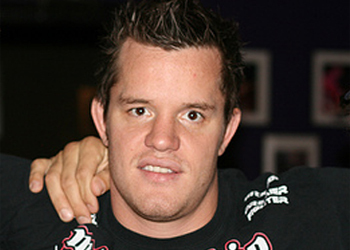 Dollaway and Joe Doerkson. UFC 119 takes place inside Conseco Fieldhouse in Indianapolis, Indiana. The freebie special airs at 9PM ET/6PM PT and will serve as a teaser to the night’s pay-per-view broadcast. Former interim heavyweight champion Antonio Rodrigo Nogueira will have the opportunity to avenge his UFC 92 loss to Frank Mir when the pair collide in the card’s featured contest. The UFC first offered the hour-long lead-in for UFC 103 last September to help promote the struggling fight card, and the special proved to be an effective means of generating last-minute PPV buys.